For eight consecutive days in 1977, American audiences were spellbound by the ABC miniseries, "Roots." The country seemed to stand still, captivated by the dramatization of Alex Haley's bestselling book documenting his family's origins. "Roots" tells the story of Kunta Kinte, the African boy who became an American slave. It served as a looking glass of sorts of the degradation of slavery and the dignity that one man and his family reclaims. A record 140 million Americans tuned in. At the time, an unheard of 85 percent of American households caught a part of the series – a milestone for our nation. "'Roots' was a seminal event in our nation's history," said actor LeVar Burton, who played a young Kunta Kinte in the miniseries when he was just a 19-year-old college student. "The story had never been told before from the point of view of the Africans," Burton continued. Now, almost 40 years since it aired, "Roots" has been reimagined and remade by the History Channel in a modern update to the multigenerational classic. The History channel is part-owned by ABC Television. Burton, who is also known for his leading roles on the TV series "Reading Rainbow" and "Star Trek," is the co-executive producer of the "Roots" reboot. He and British newcomber Malachi Kirby, who took over the Kunta Kinte role for the new series, formed a close bond after meeting on set in Africa. "One of the biggest things that I took from playing Kunta Kinte was where his strength came from in knowing where he was from," Kirby said. "To be given the opportunity to portray him [Kunta Kinte] is a huge responsibility." 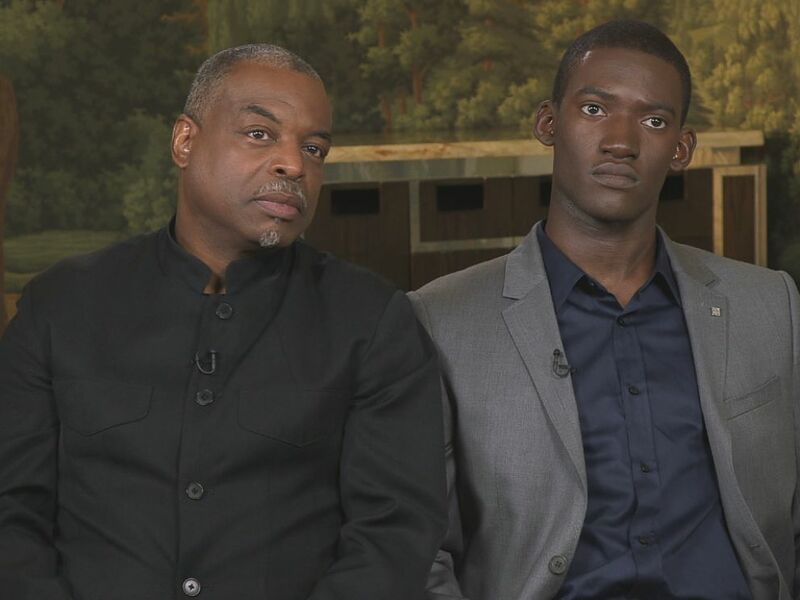 LeVar Burton (left) and Malachi Kirby (right) talk about their experiences portraying the "Roots" miniseries character Kunta Kinte. Kirby said he not only found strength and guidance in Burton, but also in researching his own roots and finding an identity in his own heritage. "This felt very much like my story," Kirby said. "My last name is Kirby, I'm aware I'm from Africa and my last name is not African." The pressure of taking on such an iconic role was not lost on Burton who said he was blown away by Kirby's performance. "It's a very difficult task [that Kirby] was faced with in creating the character through his own lens, in his own image … I marvel every day at the performance that he gives. It is truly stunning," Burton said. It was a role that changed Burton's life back in 1977, helping him become a star. But the series, an undeniable cultural phenomenon, had a much broader impact. It was the first time the story of American slavery was told from the perspective of slaves to a mass audience. "It rocked us," Burton said. "It tore the blinders off. We could not go back to the way we were before." The series had such an impact that many new babies born at the time were named after "Roots" characters. The series had such an impact that many new babies born at the time were named after "Roots" characters. One young immigrant couple living in New York at the time decided to name their baby girl "Kizzy" after the character Kunta's daughter. Their daughter, now a married mother of two, said she loves her name. "I think it's powerful, I think it's impactful," she said. "Powerful because, just like Kizzy, my family is here. Just like Kizzy, I am deep rooted in the commitment to family. I instilled that in my children. So it's powerful in that sense." 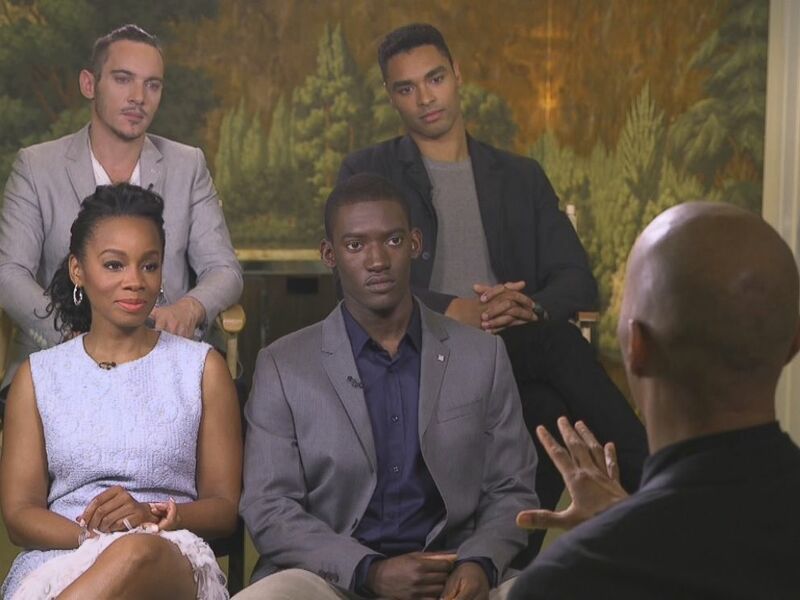 The cast of History Channel's "Roots" remake talk about the process of making the iconic miniseries with ABC News' Byron Pitts. For this family and many others, the "Roots" remake seems especially relevant now with the deaths of Freddie Gray, Michael Brown and Sandra Bland, which have helped reignite the U.S.'s long debate over race and justice. "We will get better and we will get worse, we will get better again," said actress Anika Noni Rose, who plays Kizzy in the remake. "The key to that is continuing to shed light, continuing to tell truth, continuing to correct mistruths and continuing to listen." Jonathan Rhys Meyers, who plays North Carolina farmer and slave owner Tom Lea, said echoed the importance of the series remake. "'Roots' may be a story that took place 150, 165 years ago, but all it is, is a political mirror as to what we are doing today," Meyers said. The other starring role, Chicken George, is played by another newcomer, Rege-John Page, who also felt the weight of the series. "There's not a single person I encountered on set who didn't want to get this right, who did not feel it was important to get this right. It was never just a job. It was so much bigger than that," Page said. Burton hopes to foster a conversation with this new version of "Roots." "There was a whole new generation of kids out there for whom the original was old and was dated," Burton said. "In order for them to get the power of the story, it had to be retold in a language that they could understand… I think that's the value of storytelling. It helps gives us a context for who we are, why we're here and what we're doing."